Sustainable Employment: Our Online Store! - Cosechando Felicidad Inc. Sustainable Employment: Our Online Store! At this point you have probably received notice of the opening of our online store! We are so excited to share this new program with you and a little bit of the history behind its creation. From the very beginning, we have sought to create employment opportunities in the community of Santa Maria. We have 2 full-time employees of our own, but want to provide more opportunities in the community. Each evening anywhere from 5-20 people come to talk to us about their struggles and needs during our open office hours that we hold from 6-8 PM daily. All of these families have financial concerns and do not have a stable source of income. We do our best to enroll the eligible families in our applicable programs to ease their financial burden and provide for them in the best way possible, but have longed for a more permanent solution. There is a Chinese proverb that you may have heard of, “If you give a man a fish, you feed him for a day—if you teach him to fish, you feed him for many days.” In other words, you can give a person food, but if you give them a job they will be able to buy food for the rest of their lives. While we have been thinking and dreaming about taking these next steps for years, we have been held back from embarking on this journey because we have been unsure of exactly how to go about this. About 2 months ago we were approached by a local family expressing a need. 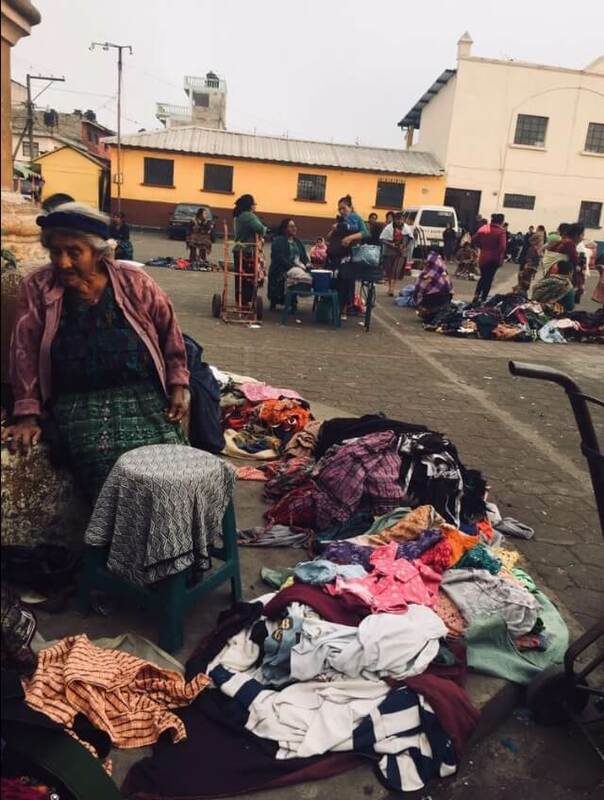 They have a small business sewing the necklines of traditional shirts and altering traditional clothes, but they had fallen upon hard times and couldn’t find adequate work to support themselves. They came to us asking if we had any work for them and thus began the production of our tote bags. 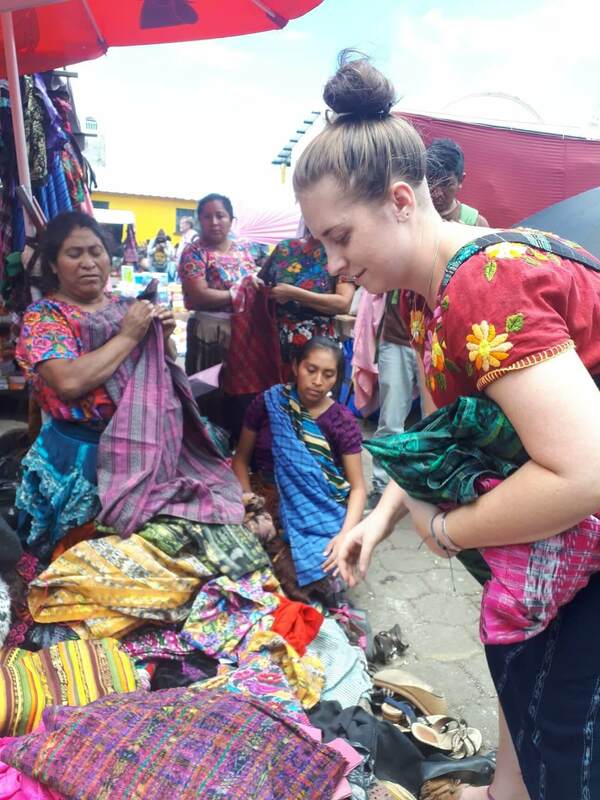 Our volunteers go to the market and purchase recycled fabric from the local women. 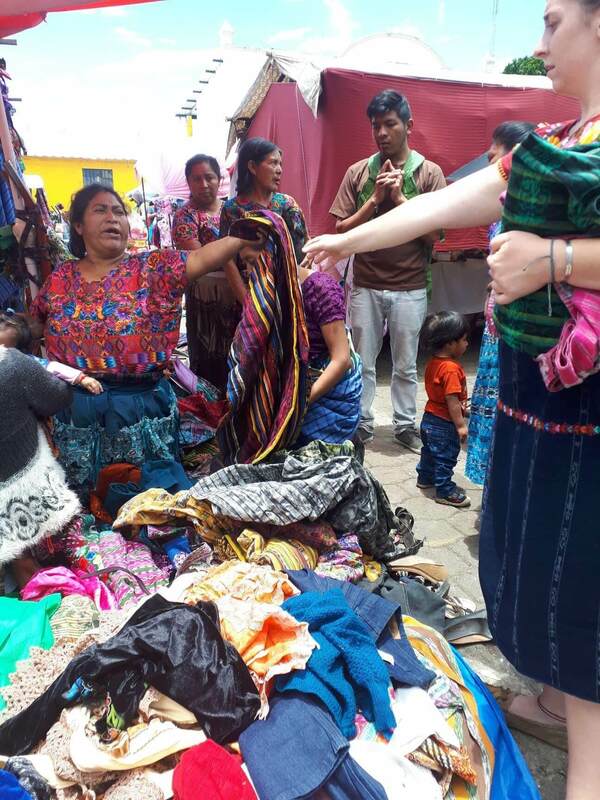 We do our best to purchase from the families we know have immense financial need and are happy to support these women. We then either deliver the fabric to our artisans or they pick it up depending on the individual situation. They then sew the merchandise in their own homes and we purchase the items from them at a set price. Through natural next steps we have grown our selection of items. We have been contacted by local single mothers recovering from physical and sexual abuse seeking to earn a stable living to provide a safe situation for themselves and their children. We have taught them how to make unique handmade bracelets. This allows them to work when and where it is convenient for them and we buy the bracelets from them at set prices. Additionally we were introduced to a local family from one of the surrounding towns who has a business of their own. They produce their own traditional goods and hire individuals in need from their local community. They have the abilities and knowledge to work with leather and other materials we are not as comfortable with. We are excited about our collaboration with them as it is supporting locals who have a similar vision to us and are making a difference in their home country. Looking towards the future we are excited to expand our products as well as incorporate new artisans into the program. 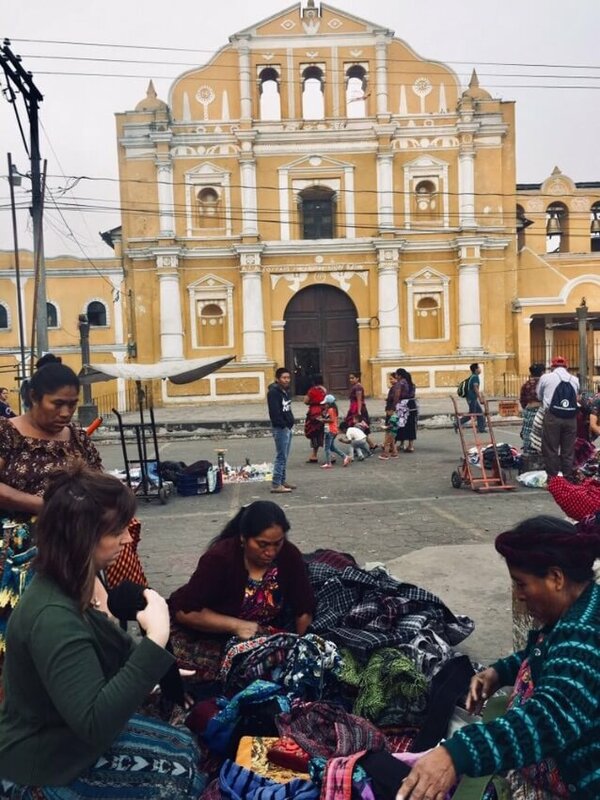 Traditionally, a large number of individuals in Santa Maria have been employed in sewing shops that tailor traditional clothes or sew coffee bags for the booming coffee industry. In the future we look forward to using microloans to allow in-need families who know how to sew to purchase their own sewing machines and thus start their own small businesses. We are so excited to bring you handcrafted goods that support a mission year-round. You can expect new designs and items being added in the next few months. 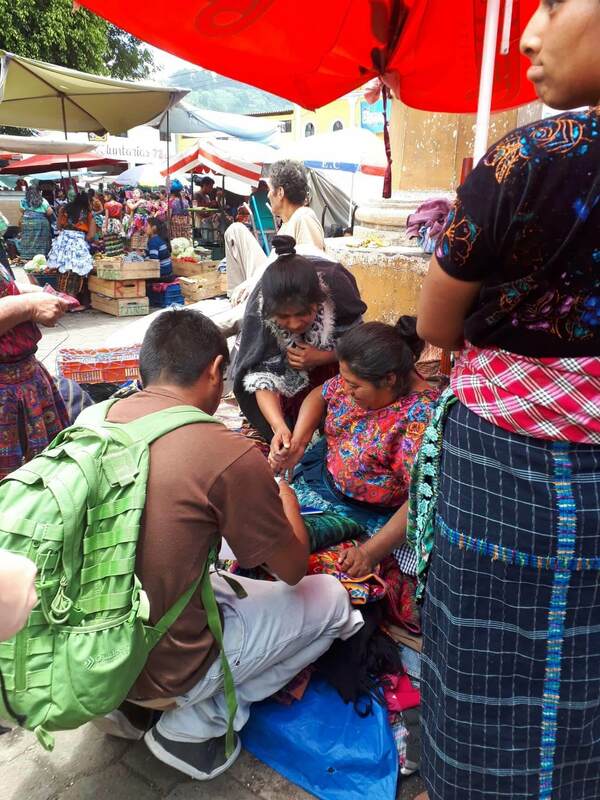 Another exciting aspect to our store is that not only do our items provide sustainable employment opportunities to at risk families and individuals, but 100% of the proceeds go directly to supporting our programs at Cosechando Felicidad. As a tangible way for you to measure the impact of your purchases, we have included the number of meals for the elderly that your purchase provides. 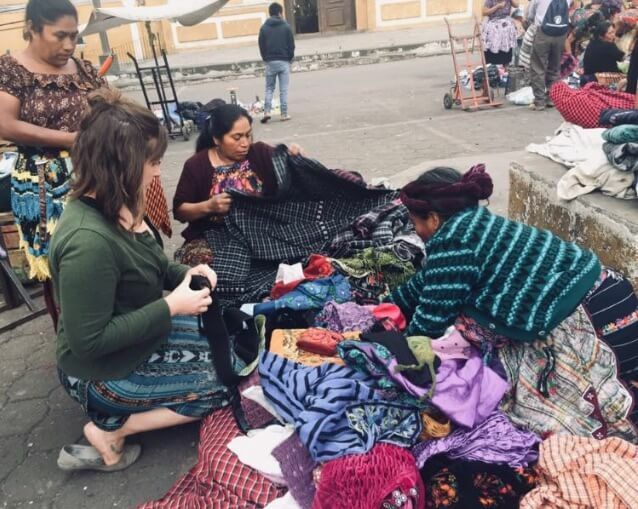 With the help of many individuals both in Guatemala and the USA we are proud to present our online store. We hope that you love it as much as we do and will take the time to share it with your loved ones.